Grid Therapeutics has the exclusive, global and perpetual rights to a novel antibody against a unique target for the treatment of lung cancer with applications in multiple cancer types. The discovery was made by Edward (Ned) F. Patz, Jr., MD, and his laboratory at Duke University Medical Center. The lab used an innovative strategy that explored the host response in a distinct group of lung cancer patients with early-stage disease that never developed metastasis. It discovered a high affinity antibody against a specific tumor cell antigen that inhibits an essential tumor cell-protective protein, permitting rapid tumor cell death through activation of the complement cascade, with resultant modulation of the adaptive immune response to potentially create a long–term durable response. This antibody discovered in cancer patients had no adverse effects, and has broad therapeutic applications in oncology because the same protective mechanism is used by many solid tumors. To generate sufficient quantities of the antibody, an innovative approach was used by taking the peripheral blood from these exceptional patients and affinity selecting specific antibody-producing B cells. Once isolated, the individual peripheral B cells were sequenced and immunoglobulin genes expressed. High affinity recombinant human monoclonal antibodies (mAbs) were then produced. The antibody binds a conformationally distinct epitope within a specific crucial functional domain on complement factor H (CFH) protein bound to tumor cells. The distinct epitope and functional domain have been confirmed by crystal structure analysis. 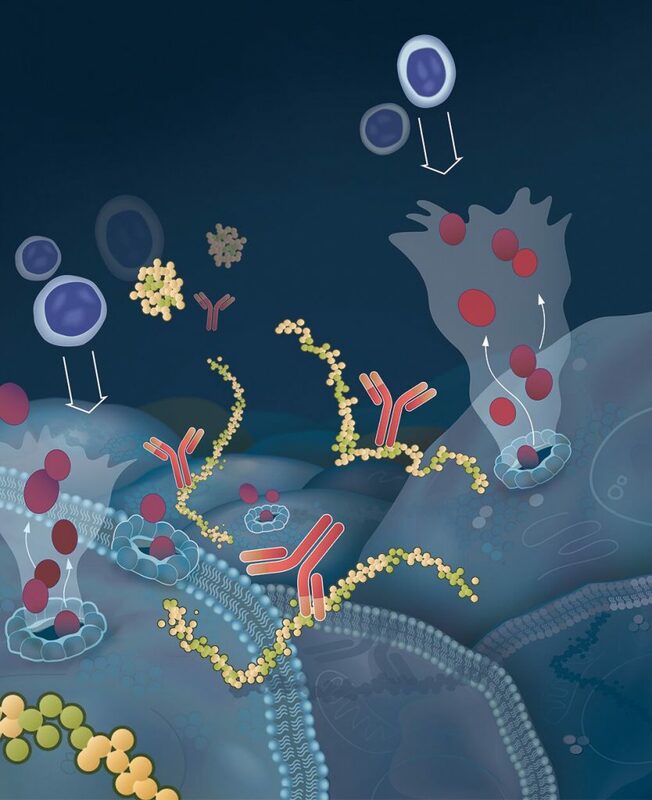 The antibody’s mechanism of action is primarily complement dependent cytotoxicity, which triggers tumor cell death and modulates the adaptive immune response. The antibody has exhibited dose dependent tumor cell death as a monotherapy in multiple different tumor cell lines in vitro and in vivo mouse models. Grid Therapeutics was formed to translate this discovery and the platform into a novel therapeutic product and treatment approach. This human derived antibody is currently being manufactured for a phase 1 clinical trial in advanced stage cancer patients. Normal cells are protected from the host immune system by multiple different mechanisms; tumor cells can amplify these same protective strategies. The Grid antibody recognizes and inactivates one of the essential immune protective proteins, CFH, which resides on the cell surface and its primary role is to inhibit complement activation. 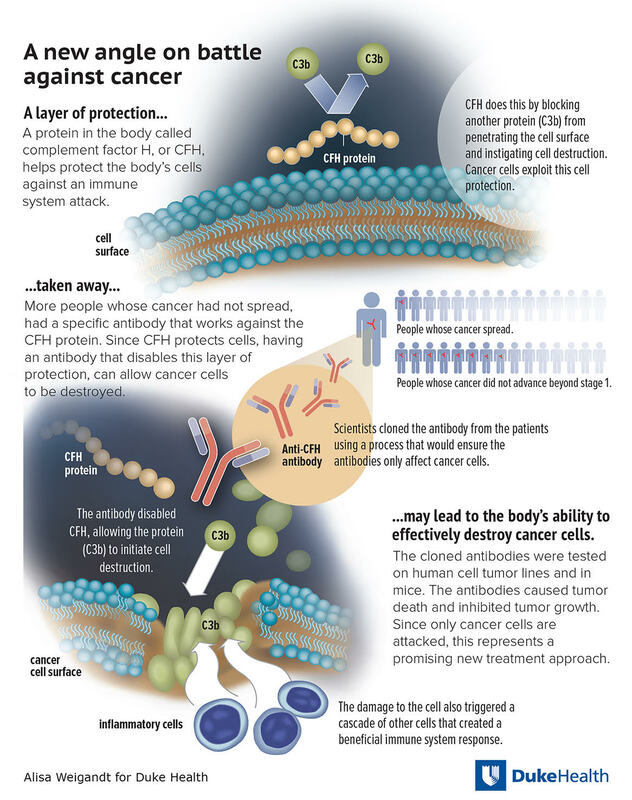 The antibody targets a specific conformationally distinct epitope of CFH found on tumor cells, permits complement activation, and allows the innate immune system to kill the tumor cells by perforating the tumor cell membrane. This then causes the release of signaling molecules that attracts beneficial immune cells to stimulate the adaptive immune response against the tumor. This modulation of the immune system is key to the Grid antibody effect, and allow the adaptive response to recognize tumor cells wherever they occur in the body. This is believed to result in a long-lasting durable anti-tumor response.